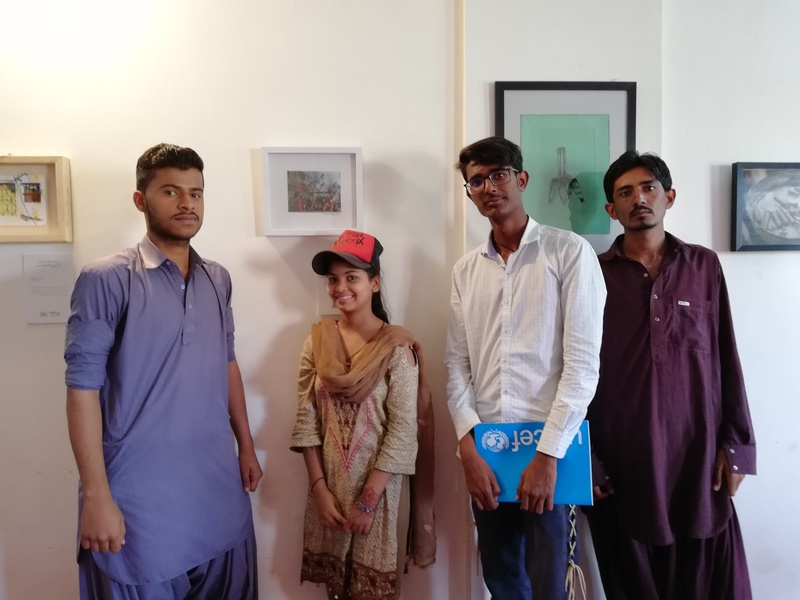 ‘Karachi ka Manzarnama’ is a series of exhibition held at six different locations in Karachi, Chakra Goth, Ibrahim Hyderi, Lyari, Mauripur, Sachal Goth and Sakhi Hassan. 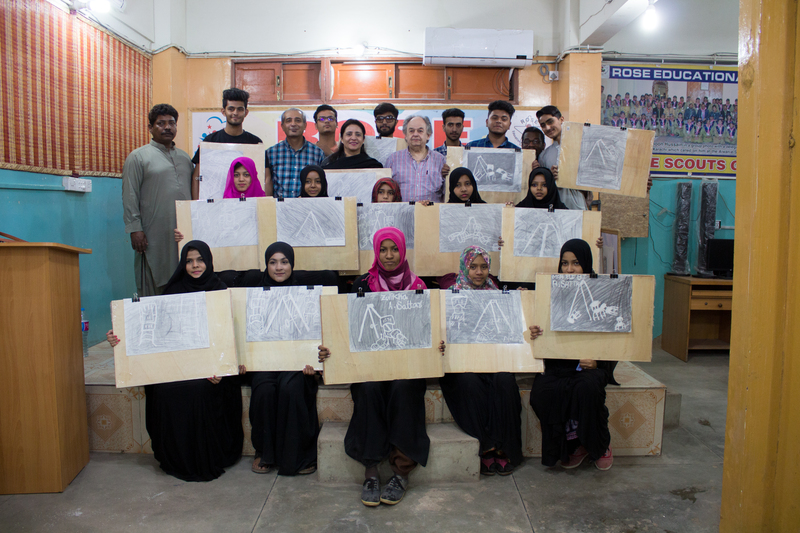 This exhibition is a part of the ‘Azme Naujawan’ Project, invited visitors from the neighborhood to explore the pleasures and challenges of urban living through a range of mediums exhibited by the artists. 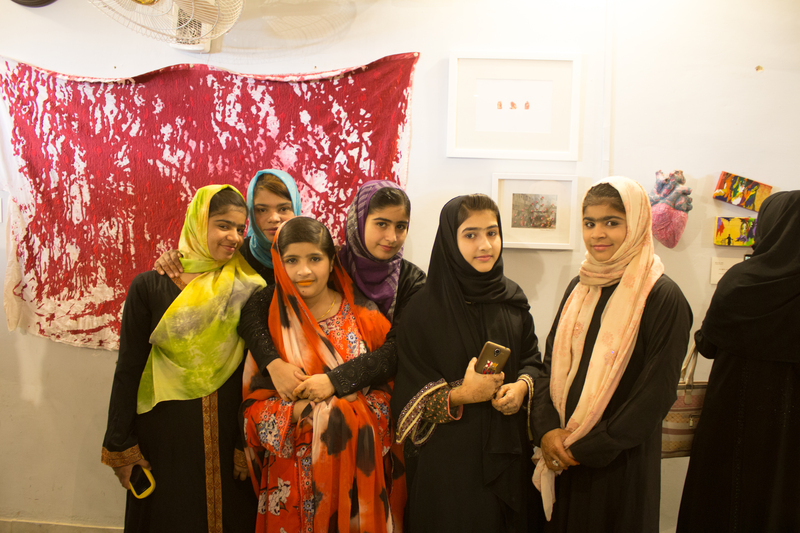 The show included works by artists Adeela Suleman, Anousha Hassan, Arsalan Nasir, Fatima Munir, Gina Gul, Halima Sadia, Haider Ali, Muhammad Zeeshan, Naila Mahmood, Samra Roohi, Seema Nusrat, Seher Naveed, Shahana Munawar & Sohail Zuberi. 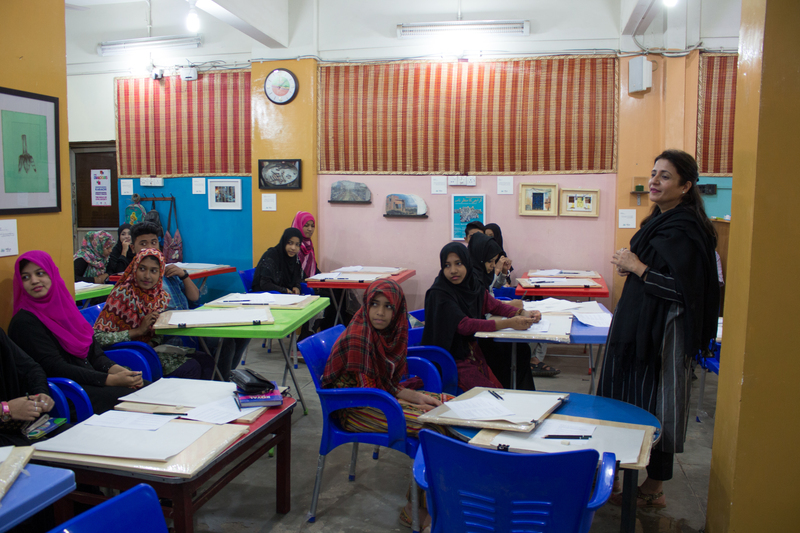 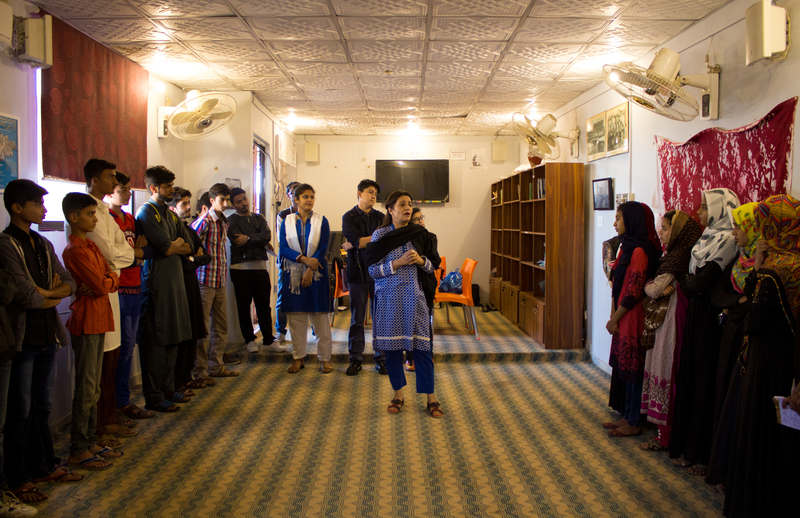 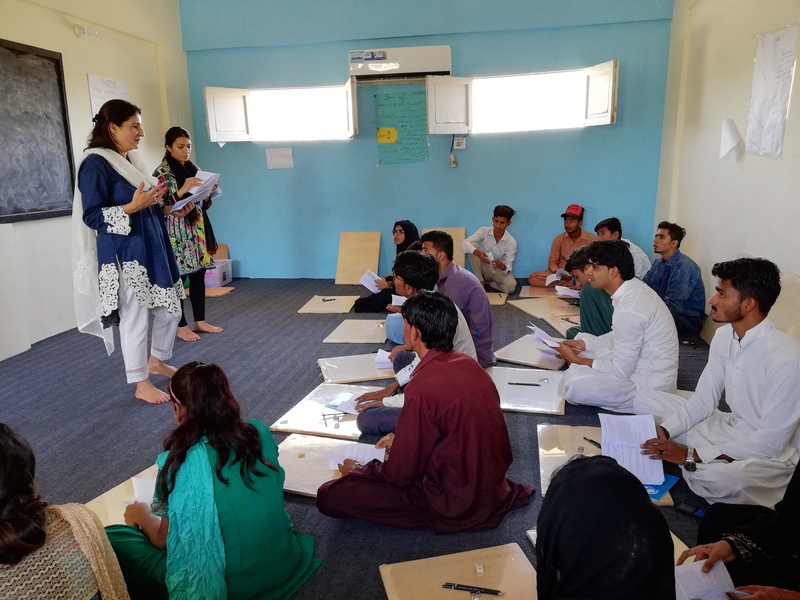 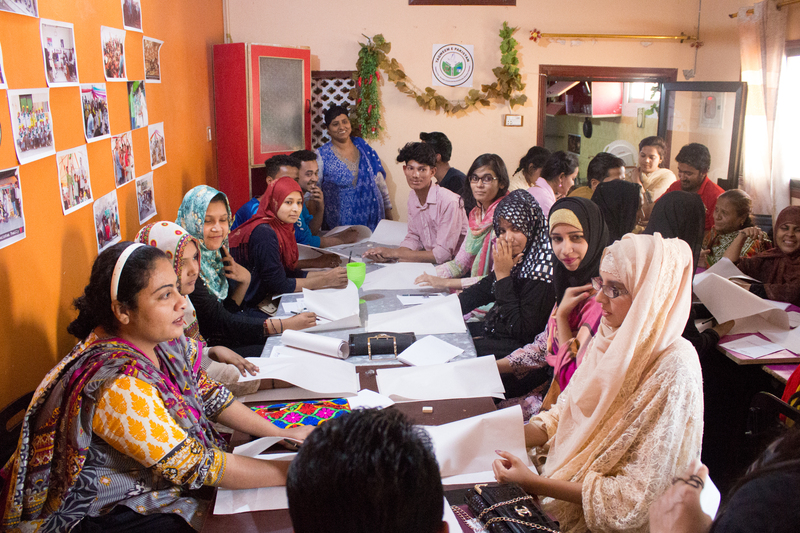 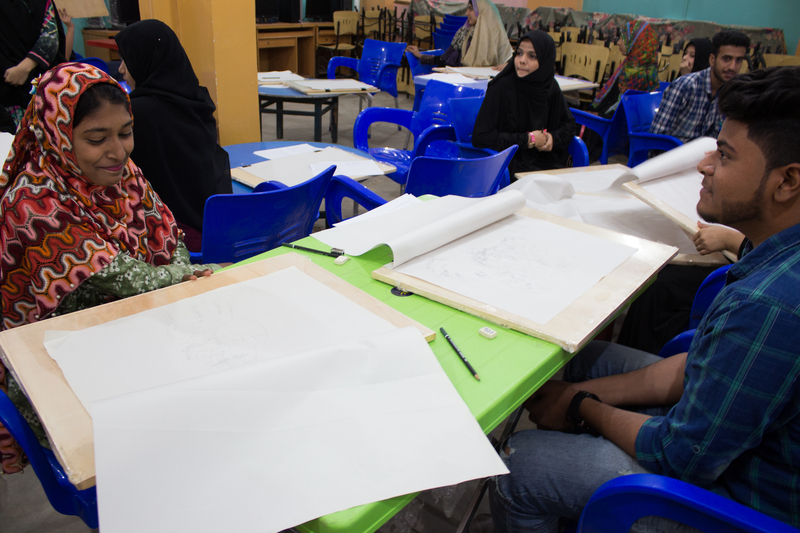 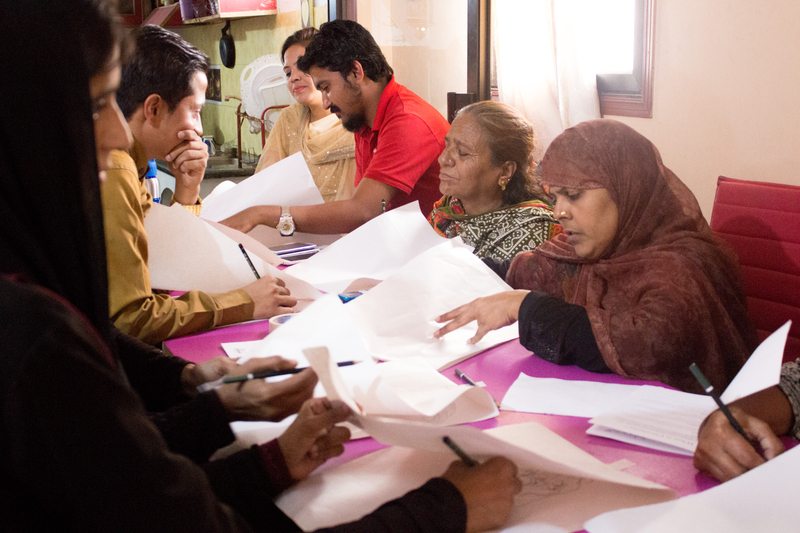 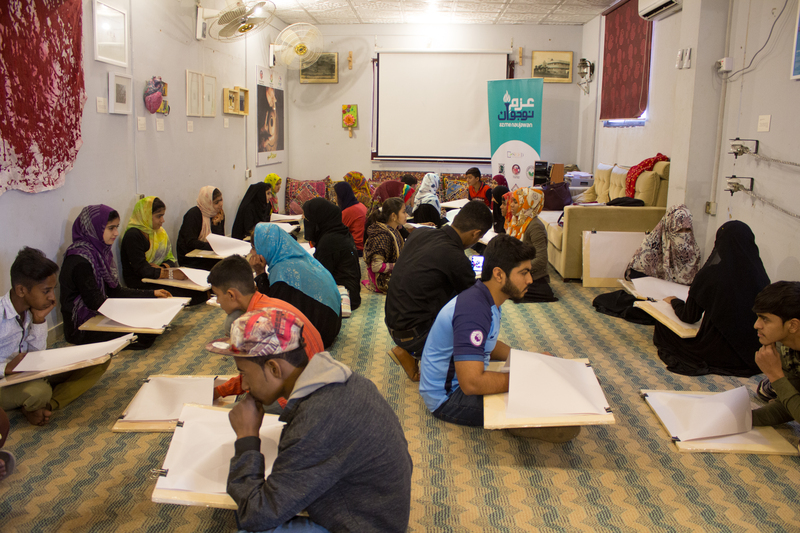 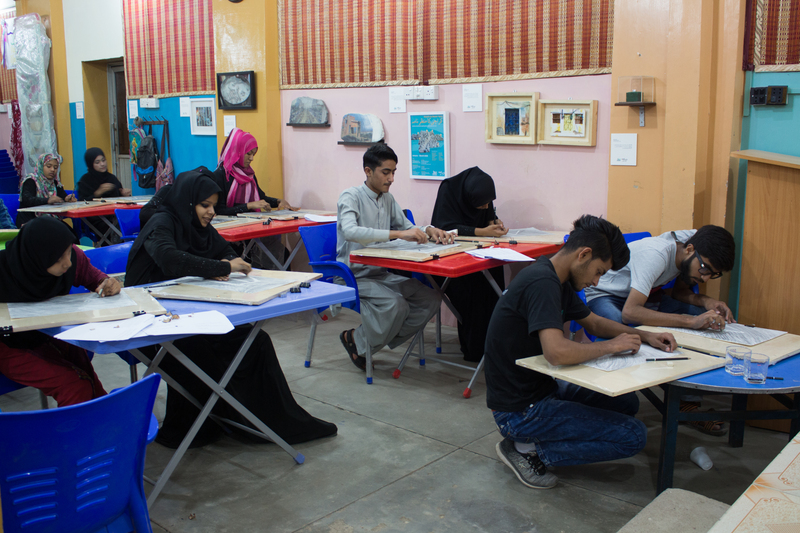 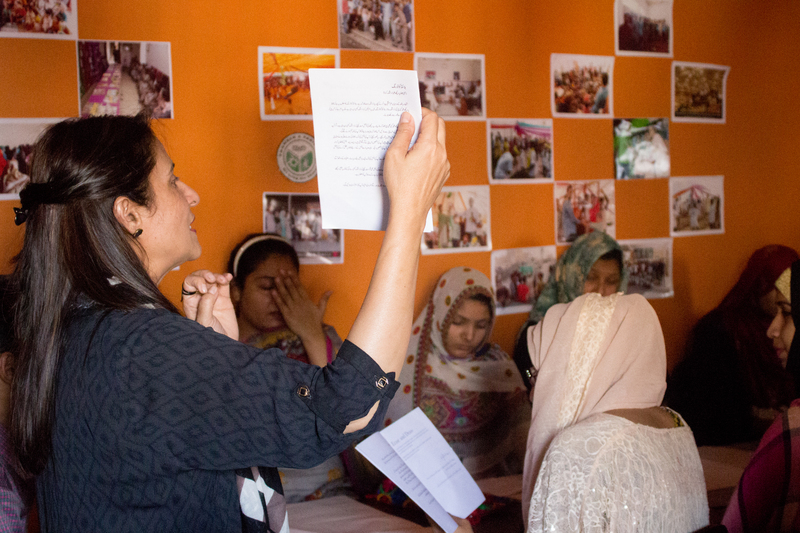 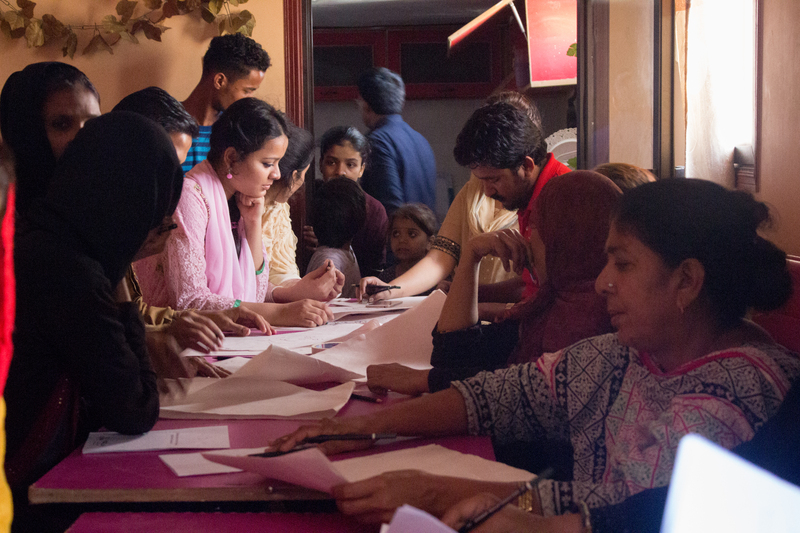 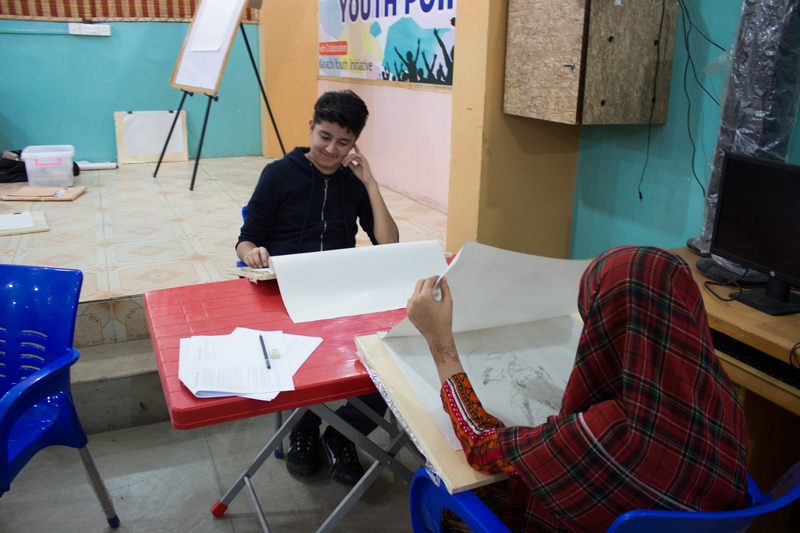 On each location, the members of the community around the area participated in understanding and learning the process of putting up an art exhibition under the supervision of the team members Maha Minhaj and Khadija Amin. 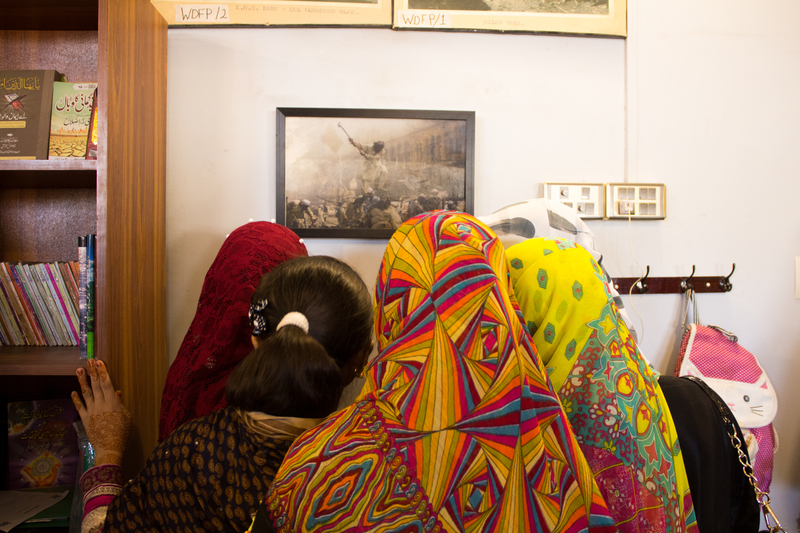 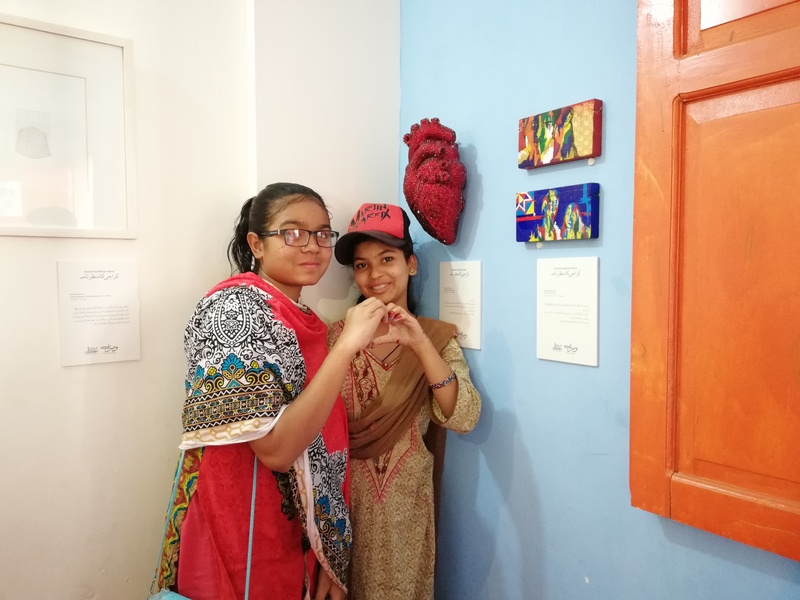 While putting up the work the two interacted with the members of the community whilst telling them about the works and the various mediums used by the artists whose works are based on Karachi and are also part of this exhibition.